Our headquarters is Akron, Ohio and we provide regularly scheduled training classes year-round. This is a cost-effective way for individuals or small groups to receive great hands-on training with one of our professional arborist training instructors. At our headquarters, we’re able to provide classroom space, areas for hands-on demonstrations, and in-field experience. For the best-customized training experience, we’d recommend having the course taught at your location. Training at your location allows our instructors the ability to put together a complete program based on your skill level and learning needs — right at your location. This option also benefits your organization by eliminating travel costs for your team and cutting down the amount of time off employees will need to complete training. 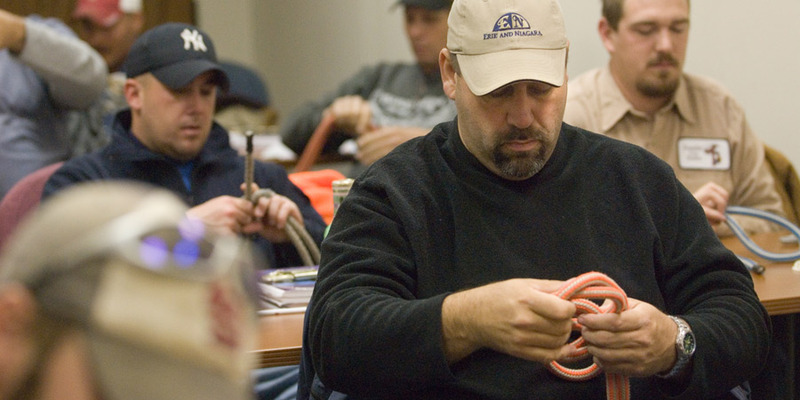 When classes are held at your location, we bring the same hands-on training right to your backyard. We also offer the ability to complete training classes at our two regional workshops in Stockton, California for customers along the West Coast and Arlington, Texas for Central U.S. customers. At these locations, we’re able to offer classroom space, hands-on demonstrations, and in-field experience. Classes vary throughout the year. Inquire about what’s being offered in your area. Ready to set up a training course for your employees? Contact one of our representatives today.